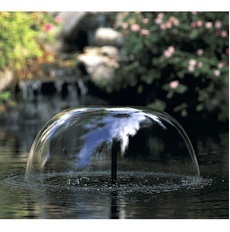 Navigate: StoreFront / Water Garden & Pond Products / Fountains - Brass, Resin, Stone, & More! 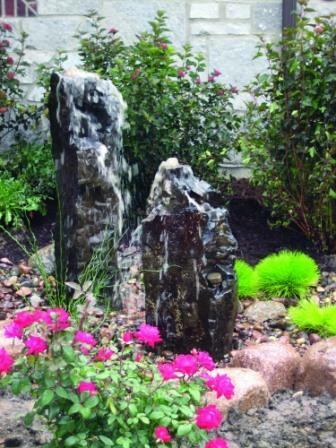 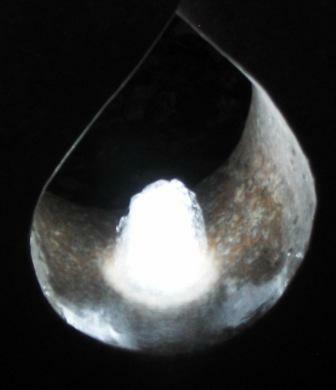 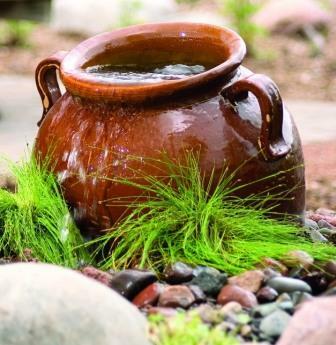 TJB-INC offers many different instant water gardens in the form of Fountains and Decorative Fountains. 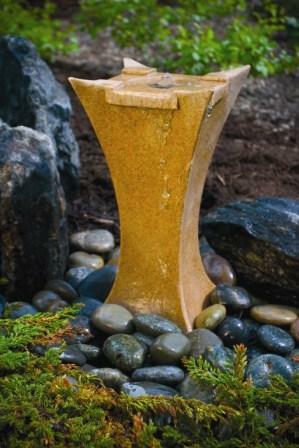 These self-contained water features in Brass, Resin, or Stone can be used in gardens, on patios & decks, by entrance ways, and even indoors! 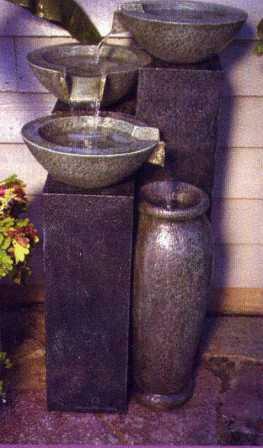 From the gentle soothing sounds of the dripping water on the "Basket Fountain" to the relaxing sounds of the flowing water of the "Water Wall with Candle Holders". 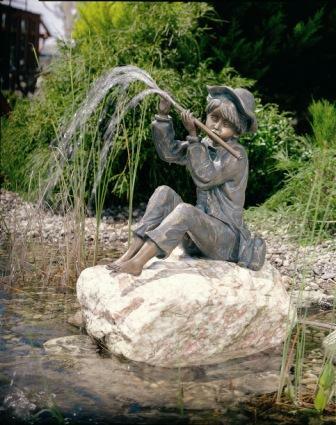 For larger bodies of water, TJB-INC sells commercial fountains in many different styles and by many different manufacturers. 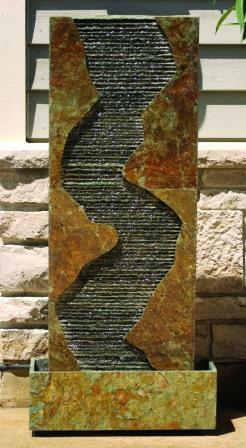 Contact us at tjb@TJB-INC.com for more info and pricing.